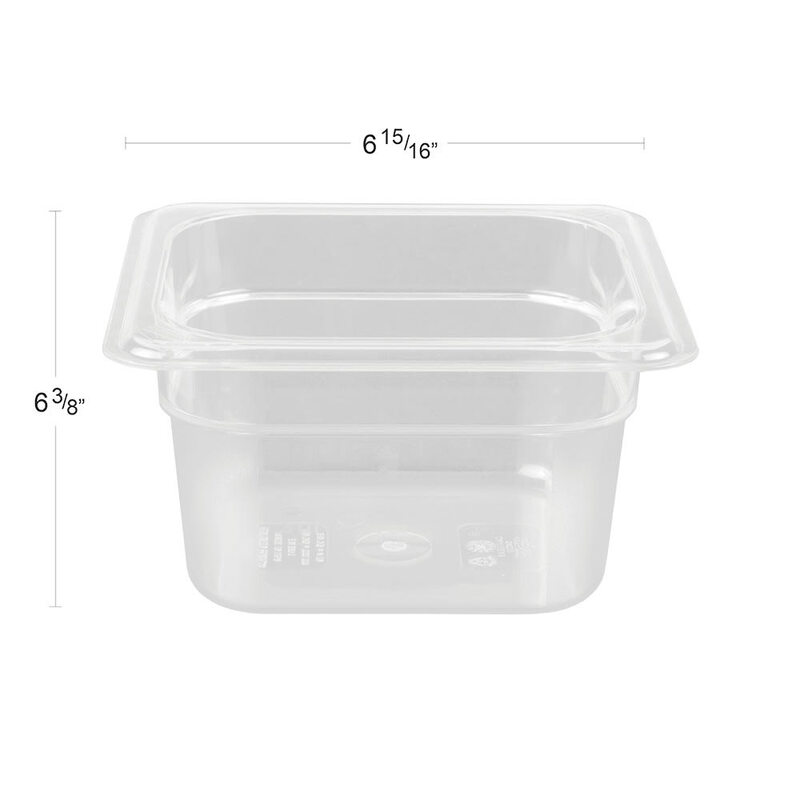 The Cambro 64CW135 Camwear® sixth-size food pan has a 1.6-quart capacity and polycarbonate construction that resists bending, cracking, and denting. Its clear material provides visibility for inventory checks, and outside graduations enable quick identification. 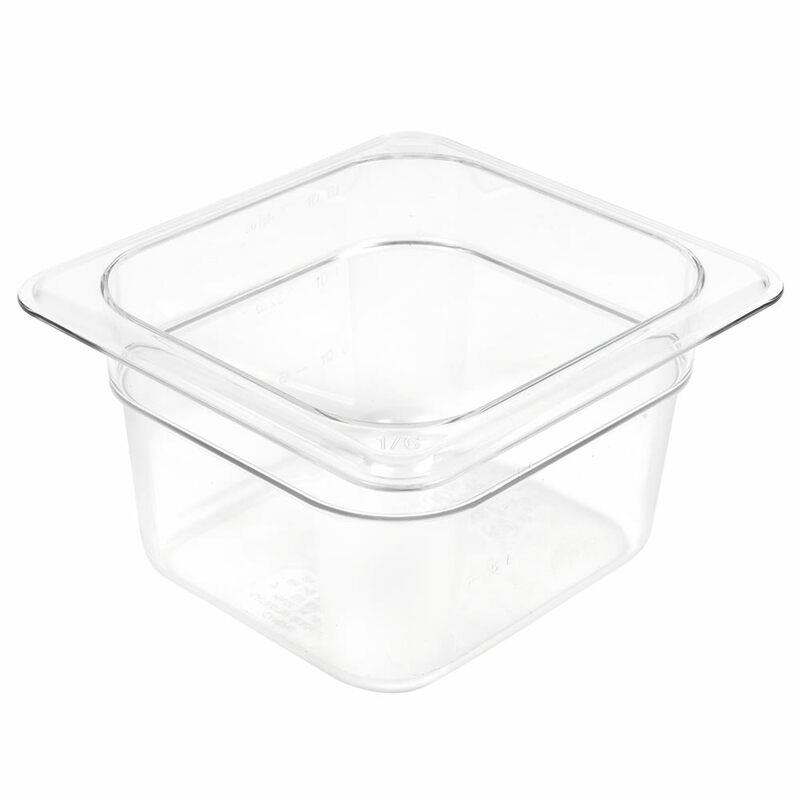 Its textured bottom reduces sliding and scratching, while the nonstick interior eases cleaning. It endures temperatures from -40 to 210 degrees Fahrenheit and can be stacked to save space. 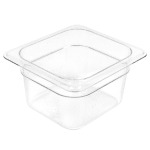 Check out our article on Cambro food pans to learn more.